Colorado’s craft brewing heritage and reputation as the country’s ground zero for small-batch artisan breweries make us the envy of beer-loving residents of other states. More than 10 percent of the nation’s craft breweries can be found in Colorado, which is quite an impressive statistic given that the state is home to less than 2 percent of the country’s population. Colorado is home to nearly 230 established breweries. Coloradans didn’t invent the concept of a craft brewery, but they do get credit for perfecting the art of craft beer. Home to such notable breweries as New Belgium Brewing Company, Odell Brewing Co., Great Divide Brewing, Avery Brewing Company, Left Hand Brewing and many others, the state is a beer-lover’s dream destination. Every kind of beer you can imagine is brewed here, from the well-known (Fat Tire and 90 Shilling) to rare seasonal barley and tripel ales. The Front Range, including Fort Collins, Boulder, Denver and Colorado Springs, is where much of Colorado’s beer making takes place. 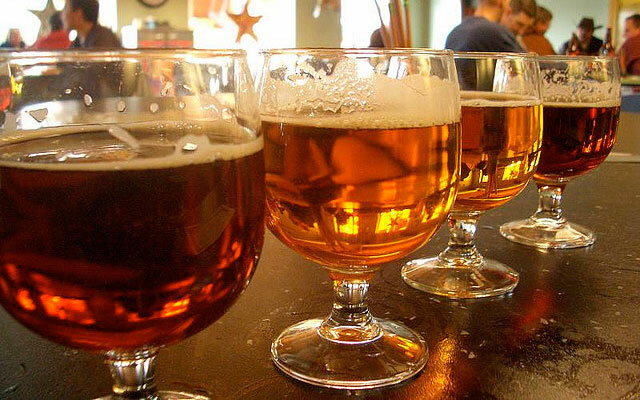 But the mountains and Western Slope also have their share of craft beer makers, including Breckenridge Brewery, Aspen Brewing Company, Kannah Creek Brewing Company in Grand Junction, as well as Ska Brewing Company and Steamworks Brewing in Durango. To find all the state’s breweries, visit coloradobeer.org. Most Colorado restaurants and bars carry at least a few of the home-state favorites, but that’s not the only way to celebrate our expertise in all things beer. Several notable festivals take place each year where you can sample local beers and even meet some of the masters behind your favorite brews. Going strong for near 30 years, the Colorado Brewers’ Festival takes place in Fort Collins each June and features more than 50 Colorado-based brewers as well as live music and food. The Brewers Rendezvous in Salida every July also features more than 50 craft breweries from around the state. It takes place along the banks of the Arkansas River and features great food and music. Another can’t-miss event is the Blues and Brews Festival on South Pearl Street in Denver. It showcases beer supplied by local breweries. The Great American Beer Festival is a Denver tradition that takes place each fall. With exhibits manned by more than 400 of the top craft brewers in the nation, attendees are able to sample more than 1,800 different brews. The festival is produced by the Brewers Association, the national trade association for all craft breweries, which is located in Boulder, Colorado. Check out our other fall and winter beer fests, Colorado breweries listings, plus adventure-and-beer pairings across the state. Photo: Courtesy of Jared Brown.